Businesses often operate in a dualistic system: they feel the need to balance productivity with employee safety and must make sacrifices. David Michaels, who served as Assistant Secretary of Labor for OSHA from 2009 to 2017, has had a great deal of experience with that balancing act and has poured much of what he learned into an article published by the Harvard Business Review. 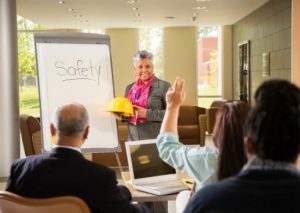 In the article, he argues that safety should not be viewed as a single system offset by systems such as sales and production but must be an integral part of a company’s DNA in order to truly yield a safe workplace. He then goes on to give safety advice to businesses, not in the form of specific action steps, but with an eye to the core of a company’s operations. One point Michaels focuses on is that accidents and injuries are rarely the fault of a single human error, and discourages blaming employees for accidents that could have been prevented with more organizational planning. There are risks inherent to all workplaces, and these risks will vary by a multitude of factors. A company committed to safety must be vigilant about the dangers posed in their specific operation and establish systems that will prevent a single human error from resulting in an injury or death. This includes taking all injuries seriously, possibly even ensuring that upper management is made aware of them, and that such events are thoroughly investigated. Michaels notes that many workplace safety systems rely on data that comes after an accident, such as injury reports and OSHA records. Injury rates should not be ignored, they have their place, but that place is not at the center of a company’s safety plan. That spot should be reserved for data that actually comes before an accident. These are called leading indicators, and may include hazard identification, near-miss reports, identification of potentially unsafe conditions, and other factors specific to a company’s operational needs. Encouraging employees and direct management to spot and report conditions that may lead to an accident, and then quickly and effectively correcting those conditions, helps employees invest more in their company and reduce, or eliminate, injuries before they happen. When an employee suffers a severe or life-threatening injury at work, their employer has failed them. Whether it is a breakdown of good systems or a lack of a good system to begin with, the employer must be held accountable for their part in causing the accident. If you have been the victim of your employer’s insufficient safety planning, you may be entitled to workers’ compensation. Contact us today so we can fight for the justice you deserve. This entry was posted on Tuesday, April 3rd, 2018 at 1:30 pm and is filed under workers' compensation. You can follow any responses to this entry through the RSS 2.0 feed. Responses are currently closed, but you can trackback from your own site.